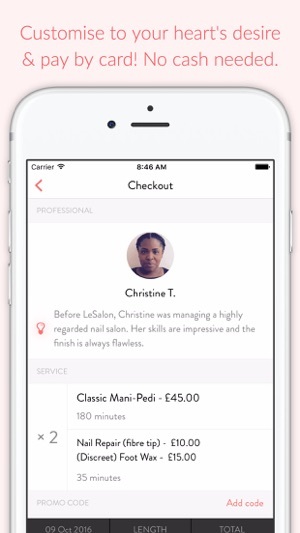 LeSalon is London's leading on-demand beauty service. We bring the beauty salon to you within just 2 hours! Enjoy high-quality, reliable nails and waxing treatments in the comfort of your home, or even the convenience of your office. Are you busy, or you need an urgent last-minute appointment? 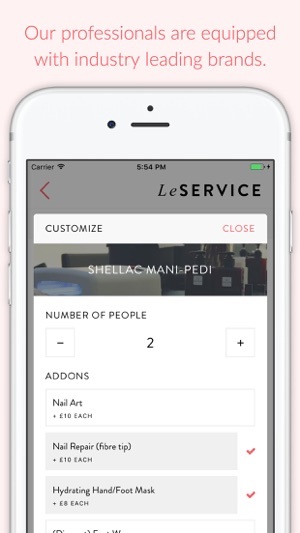 LeSalon is there for you. Save time, and stay where you are - we are on our way. Our team of professional beauty therapists have all been vetted and trained by our experts. This ensures that the quality of each treatment is of the highest standard. We are available all around London. 1) Select your service from our range of treatments including full manicures, shellac & gel treatments, and waxing services. 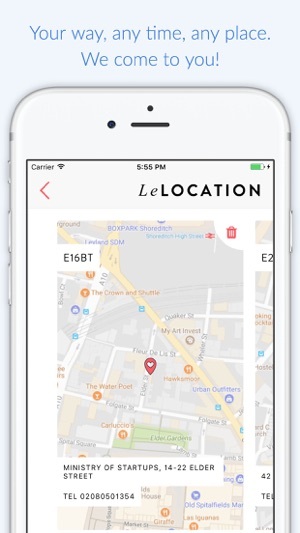 2) The app helps you find your location, so your therapist knows where to deliver the treatment. 3) Select a convenient day & time - we have availabilities early morning and late at night. You can also select a specific therapist! 4) Pay securely using your credit card through our app. 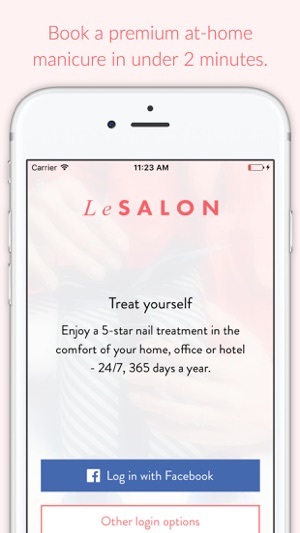 5) After your treatment, you can rate your therapist and provide feedback to help us improve the LeSalon experience. You'll also get an email receipt. In this release, we have some bug fixes and performance improvements to share with you. Such a great experience and professional service and from the comfort of my own home as well! Will definitely continue to use LeSalon :) thanks for making my life easier! 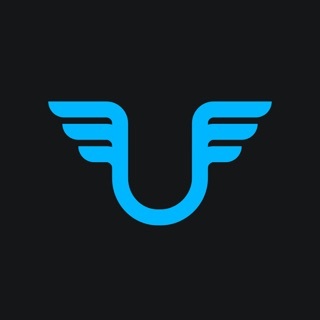 This is such a great service! I had the best pedi I’ve ever had and such a relaxing experience having the therapist come to my house. Would strongly recommend others to use LeSalon. This makes my life so easy! !